Everything I have learned about writing tells me that I should not be typing right now. The Boston attacks took place scant hours ago. I have no perspective. My emotions are raw. The event is too fresh, too new to be reflected upon. Except that this event does not feel fresh or new. Rather, there is a stench of déjà vu I cannot shake. It does not seem as though I am seeing something new, but rather the exact same dance. The intervals between each shock are the only element of change, moving closer and closer together into a whir of tragedy. The new normal is just alliteration for the status quo. There is no new; only how far we shift between action and apathy. I wonder if the next generation of Americans will ask one another, “what was the first terror attack you remember?” My grandmother had Pearl Harbor. My mother had Martin Luther King, Jr. I don’t know how a daughter of my own would choose from the traffic. Nine-eleven was the first mass memorial, the first collective display of grief, I ever observed. 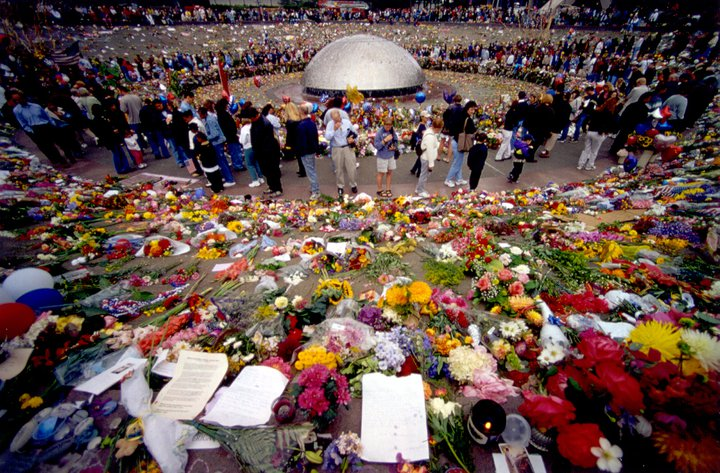 In the days after the attack, my family drove to the Seattle Center to place flowers next to the International Fountain. A labyrinth of sympathy had grown in the Space Needle’s garden with erected walls of flags, candles, balloons, blooms—all the trappings we exchange when there are no words or actions left. I was almost 17, my sister right behind me at 14. Only my little seven-year-old brother clung to my mother’s hand, his eyes all wonder as the rest of us floated through the crowded scene, rigid and confused. “Why does everyone leave flowers?” he asked my mom, pointing to the bouquet of lilies in her other hand. I stood next to her as she knelt down to meet his gaze, stroking his hair, letting the flowers droop. “They’re for the people we lost,” she said, and I could hear the tears fracturing her voice. “And you need to remember this—someday, you’ll need to remember,” said the mother who thought we lived in a world of answers, and someday we would understand why. She let her son go, our condolences blooming in his fist, let out into the only reality he would grow up to know. Since moving to Tucson last month, I have passed a dozen Safeway stores. Each time I wonder, is this the one I’m supposed to be afraid of? Is this where a man (a boy? A loner? A psychopath? A bad apple?) mangled a senator, killed a child? My fear is everywhere, and nowhere. No one talks about the incident anymore. It was two years ago, buried under a torrent of fresher wounds. Right now we don’t know who placed bombs in Boston. But when we do, we’ll start parceling ourselves away from the evil. They were fundamentalists. They were Muslim. They were extreme. They were crazy. They were a fringe. How many times must this hate visit our schools, our offices, our shopping malls, our celebrations before we contend that it is not a rarity? The denial that there is a problem in our culture, in our lives, in our methods is killing us. The borders we draw are illusions—there are no lines in human suffering. I pick up my phone for the hundredth time in a day, scroll down and curse a delayed download second of gratification. Across the sea a man sees no alternative to his hell than to dive off the company rooftop. Days after the September 11th memorial, I wrote an op-ed to the Seattle Post-Intelligencer. It was the first piece of writing of mine that was ever printed. At the end of the piece, I vowed that I would donate blood. Because I was an American, and we had the freedom to help. But I never actually gave a drop. Our hearts will be with Boston. Our thoughts, and our prayers. And we will have the chance to be better, just as we have a hundred times before. But after all of these years of sleepy Mondays and Tuesdays and movie premiere midnights and weeks before Christmas break shattered by the question, have you heard? Oh my god, it’s hard to believe that anything can shock us into shifting. 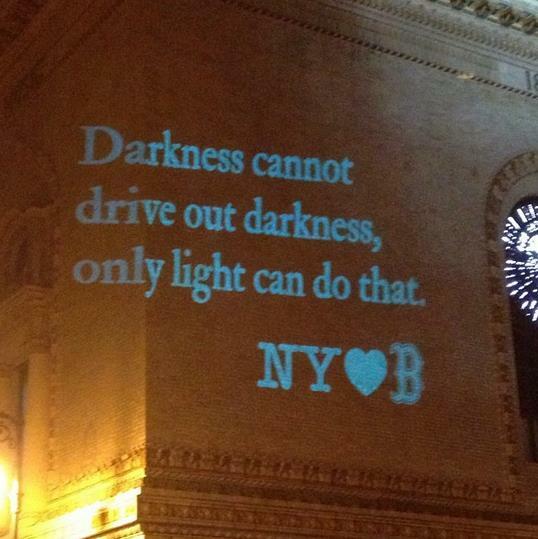 Our hearts will be with Boston. With New York. With Newtown. With Aurora. With Clackamas Town Center. With Texas A&M. But then we take them back, and the nation shifts back, the love retracted. If we take any actions, they’re a reflex into failed prescriptions. Invade! Infiltrate! Incarcerate! Can you imagine a catalyst into raising more aware, empathetic children? Investing in education across class and race to combat ignorance? Easing the hunger and poverty and hopelessness that spawn desperation? Sacrificing? Changing? It’s easy for me to sit and prescribe ideas, as if I have some kind of answer to save us. I don’t. It wouldn’t matter if I did. Changing the world won’t bring back the lives we lost, will not grow back limbs, will not sew together families and communities that have been senselessly fractured. It will not end injustice or crush greed. But I dread the moment in this tragedy when we stop mourning and start forgetting. Each time we bargain and pledge, the freshness and ferocity fades—the needle fails to meet the promised vein. For once in a bloody, frantic generation, I wish that the questions would be demanded of us. Not who did this, or what their diseased rationale was. But how we all move on as humans who ache to be free from the fear, the violence, from teaching our children why we must leave flowers. one of the best article ever i read!! Well said!! thumps up!!! A lovely post by Tabitha Blanken.